Pictures in /Pictures/boh are a fresh copy of some (same names) in /Pictures. The old ones have a visible thumbnail, the new ones have a bad thumbnail. Also the old files in /Pictures have a good thumbnail while the new ones have a bad thumbnail. 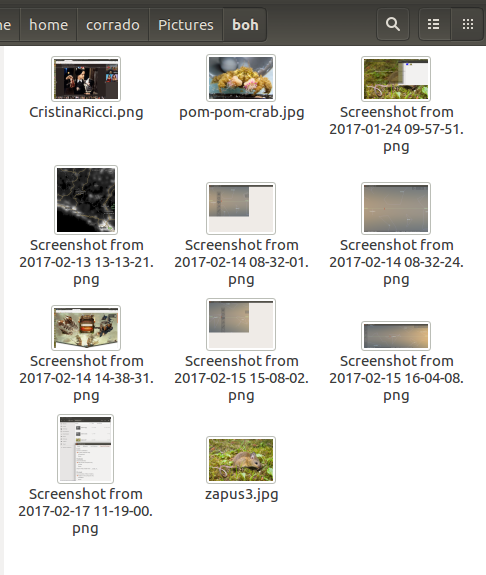 I deleted /home/.cache/thumbnails now ALL pictures have an bad thumbnail. I can confirm this bug. Tiff is OK for me too. This may not be a nautilus bug. so I'm trying to give some more info. 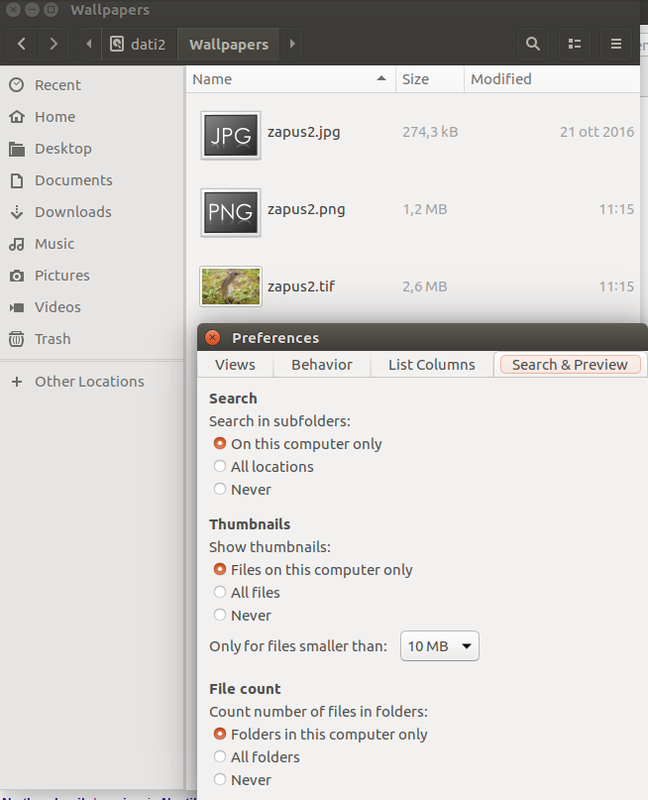 I restarted, but ubuntu started in low graphic mode. Restarted in emergency mode. Run update + upgrade + dist-upgrade. attached: 2ndUpgrade: varoius logs. Restart again. now all seems ok BUT thumbnails are wrong. so I may reistall it and produce more doc. Let my know if You need. 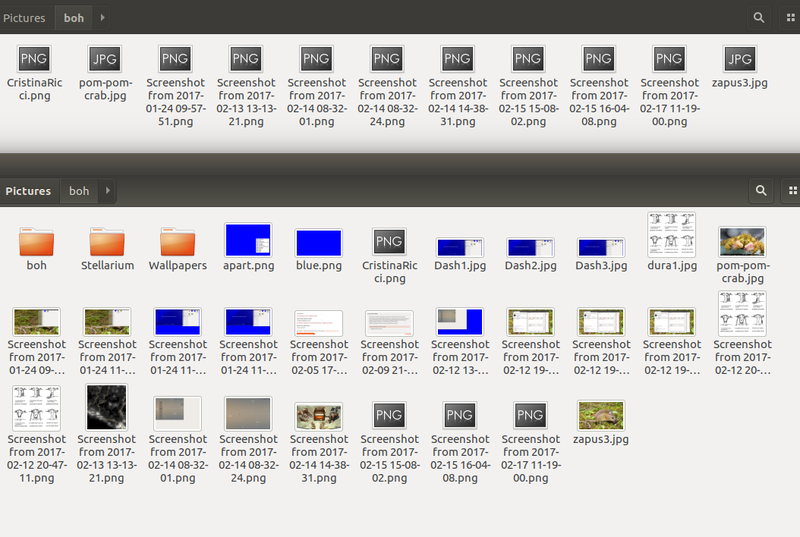 New thumbnails work if I downgrade gnome-desktop3 to 3.22.2.
should i run ubuntu-bug libgdk-pixbuf ? or something like? corrado, thanks for your help. I've already identified the problem (2 files weren't being installed by gdk-pixbuf) and I'm coordinating the fix with Debian. This bug is fixed in Debian's svn repository. It is in the new queue for Debian experimental. * debian/control. *: Update Vcs-* for branch. This is still not working for me with SVGs. After updating, log out and log back in. If things work, there is no need to file a bug for this issue now.